Man, between this one and the most recent Halloween, you'd think I went to bed and woke up in 1985! 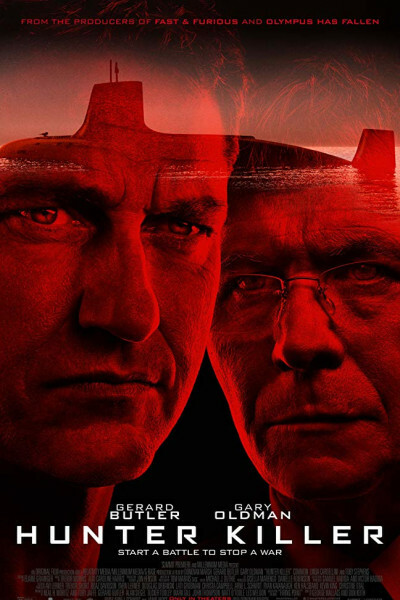 Hunter Killer feels exactly like something you'd see from Chuck Norris, à la Delta Force, or even Clancy's The Hunt for Red October. Really, really 'cold war' and old FX. Don't get me wrong; I'll take it! I'm just surprised to see such anachronisms anymore. On a 10-point scale, I'd give it about a 6. Not very strong, even though the patriotic ending had me wanting to leap to my feet and high-five someone named Tango, Cobra, or Lincoln Hawk.